However, in the entire calendar year January-December 2018 period sales of passenger vehicles grew by 5 per cent at 3,394,756 units, the latest apex trade body the Society of Indian Automobile Manufacturers or Siam data showed. According to auto analysts and industry honchos increase in fuel prices, hike in interest rate had increased cost of car ownership in the country, which impacted sentiments of price sensitive first-time buyers. “Increase in insurance cost due to mandatory three-year third-party insurance cover along with increase in car prices by OEMs to offset some impact of commodity prices and forex movement also resulted in price escalation of 3-5 per cent over last two quarters,” Subrata Ray, senior group vice president at Icra Research told Financial Chronicle. He said because of several factors impacting automobile industry in the country, the growth estimates for the passenger vehicle industry has been revised and lowered to 5-6 per cent in FY2019, from earlier guidance of 8-9 per cent. Also, amid upcoming general election, customer sentiments will remain cautious weighing on performance during next 3-6 months, Ray pointed out. Post-election, political stability would be positive for the economy as well as the automotive industry, he said. The diesel passenger vehicle segment may witness pre-buying impact during second half of FY2020 ahead of the stringent BS VI fuel emission complaint vehicle roll out, as incremental pricing difference will be substantial for BS IV to BS VI vehicles. Ray said ICRA expects launch momentum to moderate in near term, as OEMs focus on upgrading their drivetrain to meet upcoming BS VI emission norms effective from April 2020. Amongst all sub-segments in mass car market segment, SUV and compact/super compact segment will continue to witness maximum launch velocity, he pointed out. Notwithstanding the cyclical nature of sales of passenger vehicles, the Indian passenger vehicles industry has witnessed a slew of launches in the last 2-3 years, which has kept up the levels of consumer interest in the industry, despite other macro-economic headwinds (read GST and demonetisation). This year too is no exception. After a hectic rush of new launches in the first month of January itself such as all new Toyota Camry hybrid electric car, Nissan Kicks SUV, Tata Harrier SUV, Maruti Suzuki Wagon R and Mercedes-Benz V-Class, a luxury multi-purpose vehicle (MPV), there are 15-20 new car launches and upgrades lined up throughout this year. The list includes Mahindra XUV300 (Feb 15), Tata 45X (Mar 2019), Maruti Suzuki Baleno Facelift (Mar 2019), Ford Figo Facelift (Mar 2019), Hyundai QXI (Apr 2019), Ford Endeavour Facelift (Apr 2019), Nissan Leaf (March 2019) at Rs 30 lakh)Nissan X-Trail Hybrid (May 2019), MG Hector SUV (Jun 2019), Kia SP (Jul 2019), and Hyundai Kona (Jun 2019). Nissan Leaf (March 2019 at Rs 30 lakh). Apart from that Honda is expected to launch three cars in the year in 2019-2020. Honda Civic, Honda Vezel and Honda Brio 2019 are launching soon in India at an estimated price of Rs 15 lakh, Rs 10 lakh and Rs 5 lakh, respectively. The Mahindra XUV300 SUV is based on the Ssangyong Tivoli, and it will be positioned between the XUV500 and a TUV300 in Mahindra’s stable and will compete against the likes of the Maruti Brezza, Tata Nexon as well as the Honda WR-V. It is expected to be launched in February 2019. The design of the XUV300 takes its cues from the bigger XUV500 in terms of headlamp design and the characteristic tear duct lines. The squared-off bonnet and shoulder line is complemented with Mahindra’s chrome-finished grille and LED daytime running light. Similar to the Tivoli, the XUV300 gets a flared wheel arches design but at the rear, the tail lights are completely new. Mahindra is expected to keep the prices (about Rs 8-12 lakh) competitive to gain market share in the ever-growing compact SUV segment. Tata Motors, which is moving away from its old-school rickety style to a modern marquee with the popular Tiago and Nexon cars is all set to launch the all-new premium hatchback codenamed ‘Project 45X ’. With an estimated price tag of Rs 8 lakh, it is expected to the launched in March 2019. The all-new hatchback will be the first car to be built on the Advanced Modular Platform (AMP) that has been developed by Tata Motors. In terms of size, the 45X is visually longer than the Tiago but Tata will certainly not go over four metres in length to benefit from the tax regulations. Tata’s first AMP-based car is expected to debut in late 2018 and we think the 45X might debut at the Auto Expo in February, at least in the concept form. Under the hood the new car would be equipped with the same 1.2-litre turbocharged Revotron Petrol engine along with the 1.5-litre diesel engine that debuted with the Nexon earlier this year. When launched in the country, the 45X will compete against the likes of the Maruti Baleno, Hyundai i20, Honda Jazz and Volkswagen Polo in the B+ segment. This segment is highly competitive at the moment due to the segment shift and Tata needs to burn the midnight oil if it wants a large piece of pie in this segment dominated by the Baleno. It will be produced at Tata's Sanand facility in Gujarat. This popular premium hatchback from Maruti Suzuki is due for a facelift this year. Changes are likely to be limited to the cosmetic upgrades, while mechanically it is expected to continue being powered by the existing petrol and diesel engine options. The Baleno Facelift, estimated to be priced about Rs 5.5 lakh and introduced in March 2019, will be offered with fresh set of convenience and safety features. In terms of safety, the Baleno received dual front airbags and ABS with EBD as standard. This time around, the facelift model is expected to be offered with additional set of safety features. The new Baleno will compete against the likes of the Honda Jazz, Volkswagen Polo and the Hyundai Elite i20. The Figo hatchback has been Ford’s prime contender in the B-segment category to rival the Maruti Suzuki Swift, Hyundai Grand i10 and Toyota Etios Liva. The current Figo was introduced in 2015 and is now, in a dire need of an update. After the EcoSport and the all-new Freestyle, Ford is now expected to bring in a facelifted Figo to India in March 2019 and priced around Rs 6 lakh. It has received a recent upgrade in the international market where it is called the Ka. Styling wise, the changes made to the Figo will be similar to the Ka and the new Freestyle. The design changes will include a new honeycomb mesh grille with redesigned front and rear bumpers. The fog-lamp design will be cued directly from the new Freestyle. The rear will sport a redesigned bumper with additional black cladding to add to its new rugged appeal. Apart from that, we also expect it to come with a new lighting signature and a set of newly designed alloy wheels. The American carmaker is busy testing the refreshed hatchback already. The Figo facelift will reportedly be revealed in late 2018. Prices will be on par with the current model. The update will help the Figo compete against the new-gen Swift and updated Grand i10. The Korean automaker Hyundai is all set to mark its presence in the compact SUV space with the QXI compact SUV. The vehicle was last seen at the 2016 Auto Expo as the Carlino concept. Post launch in April 2019 and priced about Rs 8 lakh, Hyundai’s compact SUV will compete against the likes of the Ford EcoSport and the Maruti Brezza in India. The QXI compact SUV will get a rectangular grille instead of the cascading grille design which can be seen in newer Hyundai model. The upcoming vehicle is expected to be offered with a vertically stacked headlamp with LED DRL and turn indicators on the top. The production-ready model is expected to get a square fascia to appeal to the Indian buyers. The car is likely to be powered by the 1.2-litre petrol and 1.4-litre diesel engine options from the Elite i20. The 1.2-litre Kappa Dual VTVT petrol engine comes mated to a five-speed manual transmission to generate 82bhp of power. The diesel version will get a 1.4-litre U2 CRDI engine that comes mated to a six-speed manual gearbox to generate 89bhp of power. The new entrant MG Motors, the British brand owned by the Chinese biggest automaker SAIC will introduce the all new MG Hector SUV, its first product in June 2019. With a price tag under Rs 20 lakh, MG Hector would competes against the likes of Hyundai Tucson, Jeep Compass and the Tata Harrier. It will be built at MG’s new plant in Halol, Gujrat and is expected to get a localisation level of 75 per cent. This new SUV, given its positioning in the market, is expected to get leather upholstery, electric front seats, six airbags, five-seat and seven-seat options as well as a massive touchscreen infotainment system and 360 degree surround view camera. The vehicle is likely to be offered with high levels of internet connectivity. The car will be offered with both petrol and diesel engine options and obviously both MT and AT options. The car will be unveiled in Q1 of 2019 and will go on sale by the end of first half of 2019. Yet another new entrant into Indian market is the Korean brand Kia Motors. Its first car called the Kia SP2 SUV is a Hyundai Creta and Renault Duster competitor. It is likely to be introduced in India during the festival season in August-Oct 2019. Priced between Rs 10– 16 lakh, Kia, which would bring in more models into the country is focusing on the B-segment and the C-segment of the Indian market as they are the fastest growing segments at present. The first car that Kia will bring to India will be the SP concept in production guise. This will be a premium D-segment SUV and conveys that Kia is taking a top- down approach with regard to India. The SP was unveiled at the 2018 Auto Expo and has all the hallmarks of the latest Kia design language. Dominating the face is the tiger nose grille, sleek headlamps and silver coloured bash plate element. 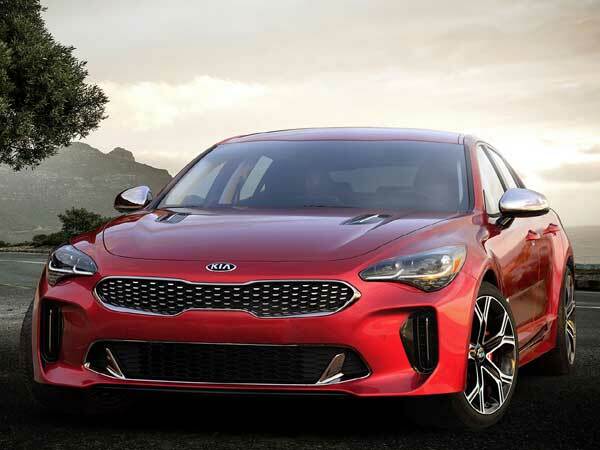 There is no word on the interiors but in production guise, it is expected to get the standard Kia fare that is present on its SUVs, sedans as well as hatchbacks. Given its positioning, we believe that all the D-segment features like a touchscreen system, climate control and faux leather upholstery will be a part of the feature package. The SP is expected to get a name and be shown in production form by the end of this year as Kia wants to start producing the car for the Indian market as soon as possible. The Japanese brand which is struggling to sell itself due to lack of new and competitive models is all geared to bring in its popular electric vehicle called the Nissan Leaf in the Indian market. Nissan launched the much-anticipated Kicks SUV on Jan 22 in Delhi. Along with the launch, Nissan’s top management also revealed their plans for India and reinstated their commitment in the country. One interesting announcement from the team was the confirmation of Nissan Leaf’s launch in the country this year. The Leaf was spotted last December without any camouflage in a parking lot in Kerala. It raised speculations that the Leaf might be coming to the country soon. The Leaf is a globally successful electric vehicle (Nissan has sold over 3,80,000 Leafs already) and is available in many Asian markets. It is the best selling EV in Europe. The world’s best-selling electric vehicle will arrive in India towards the end of the year as a completely built unit or CBU unit. Although the Japanese brand does not expect it to sell in great volumes, the new Nissan Leaf is likely to be projected as a technology demonstrator for Nissan. This second-generation model is powered by a 40kWh battery (up 10kWh from the previous-gen vehicle) and makes 140hp (up 40.4hp from the current 30kW battery range-topper). The claimed range for the Leaf is 400km (up by 280km) under the Japanese driving cycle and 380km (up by 129km) under the New European Driving Cycle. Hyundai is expected to launch Kona but in an electric form in the county in June 2019 with an estimated price tag of Rs 8-10 lakh. Hyundai has confirmed that it will be manufacturing its upcoming Kona electric locally in India at its Chennai plant. The Korean carmaker is geared up to launch the Hyundai Kona electric in the second half of this year and is planning to start the production around the same time. The latest development is the upshot of the company's plans to invest Rs 7,000 crore in India, a part of which will go towards the development of an assembly line for the Kona Electric. Ford’s flagship SUV the Endeavour is all set for a facelift. The seven-seat mammoth sits on the old-school ladder frame chassis and is offered in three trims with two engine and two gearbox and all-wheel drive options. The current generation of the Endeavour was launched in India back in 2015 and is due for a facelift in April 2019 with a price tag of about Rs 29 lakh. Since it is a facelift, the new 2019 Endeavour will continue with its rounded but primarily boxy shape. While the lamps both fore and aft are expected to be largely the same, the bumpers will be tweaked to add a little more brawn. Expect the front bumper to get a chunkier bash plate while the 20-inch alloys will get a new pattern. Inside, the already well furnished feature list of the Endeavour will continue to be offered along with the electric sunroof, parking sensors with camera, power seats, power mirrors, et al. the infotainment system will be upgraded to Ford SYNC 3. The Endeavour will continue to compete with its existing set of competitors such as the Toyota Fortuner, the Mahindra Alturas G4, the Mitsubishi Pajero Sport, the Skoda Kodiaq, the Honda CR-V and the Isuzu MU-X on the Indian roads.